With the doors of the Artisan Shaker we find a five-piece cope and stick classic Shaker style door. Arriving separately pre-packaged from the rest of the pieces are the cabinet frame, drawer face, as well as the door (Pictures 1, 2). Composed entirely of high-density fibreboard (HDF), the Artisan’s door and drawer face are resistant to humidity and warping but the lack of hardwood utilized in this type of build decreases the value of the of the cabinet. 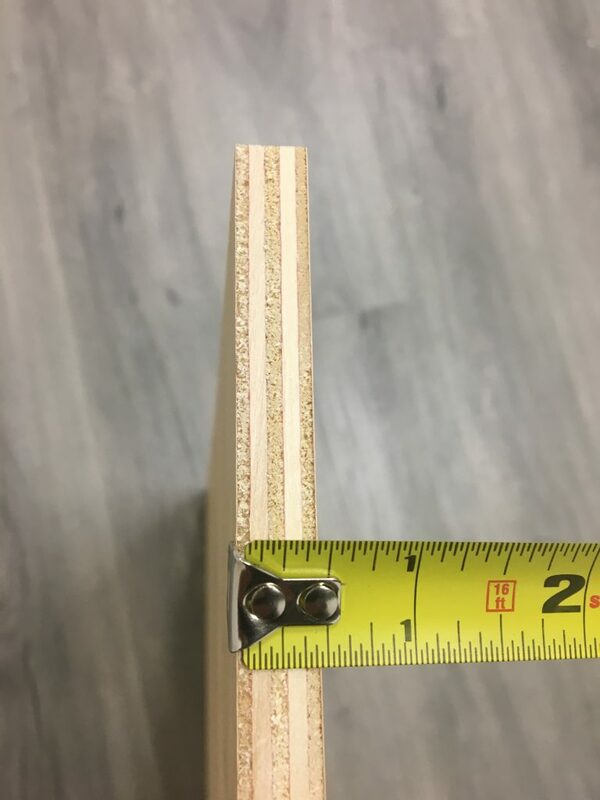 This engineered HDF “wood” is certainly optimum under certain conditions but overall exhibits an attempt on the part of the manufacturer to cut corners and save cost. The frame of the cabinet appears to be composed of HDF as well, which is not a feature we usually see with the B15 White Shaker cabinets. 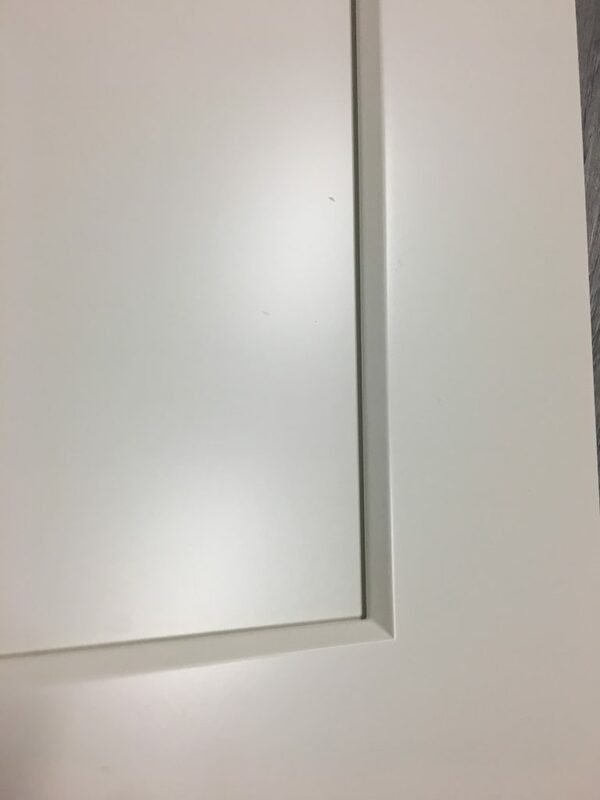 As a result of the HDF utilized in the build of the cabinet face, the finish is clean and smooth to the touch (Picture 3). 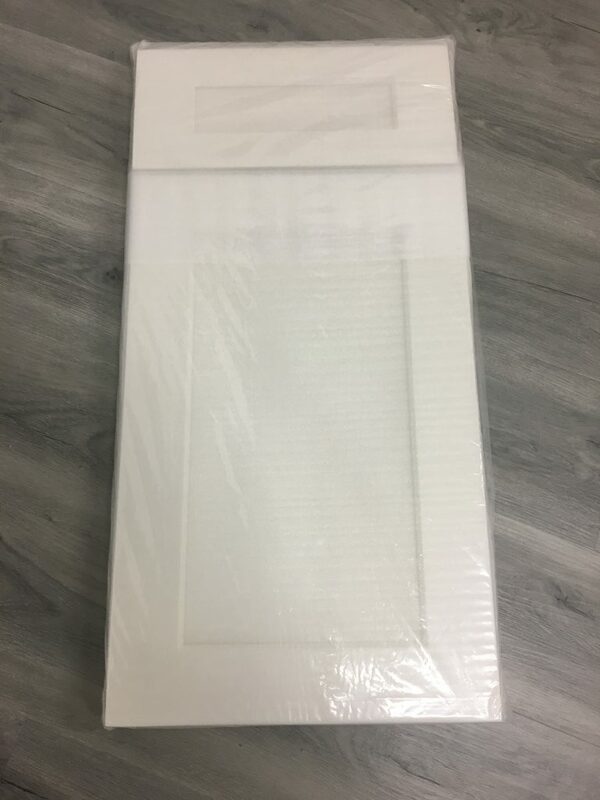 The only discrepancy I am able to spot is on the top corner of the door (Picture 4), but seeing as the door must be mounted separately the option to flip the door so this is no longer visible and on the bottom is an easy solution. Also to be noted is that the hue of the finish is not a “true white,” but rather slightly “off-white”. This resembles the paint of the Vanilla Shaker (*link), but slightly less pronounced in its deviation from the crisp white paint and finish of other White Shakers we’ve come across. This is most notable when directly juxtaposed to other units. 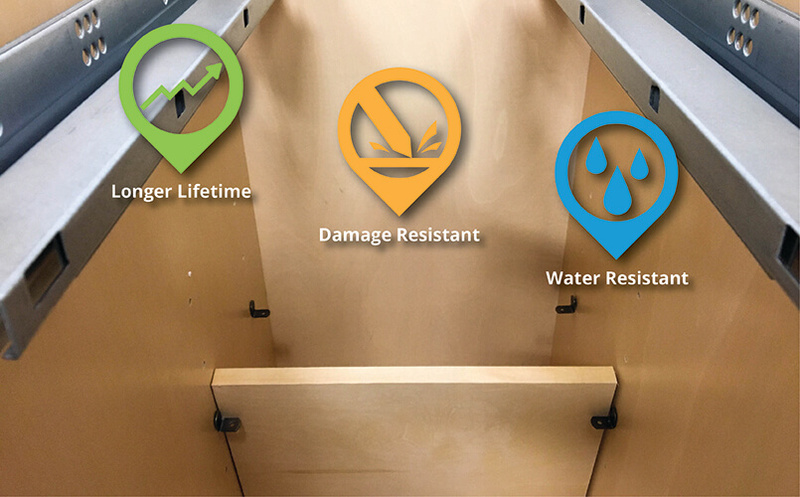 coating assumedly more eco-friendly than resin finishes typically used in past cabinet models. 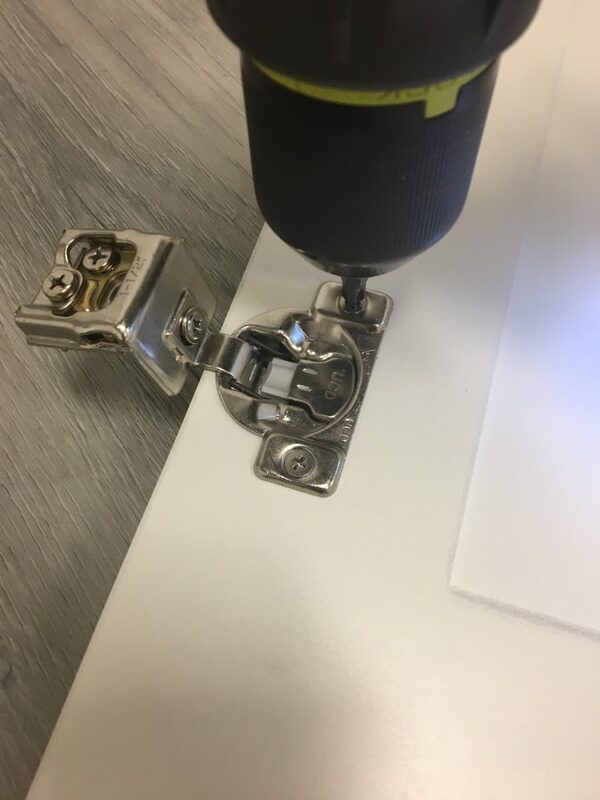 This is the first time such an interior finish has come across our workbench so it is worth taking note of this method for applying veneer interior finishes (Picture 6). On the exterior of the side panels is a stain matching the paint of the cabinet face. Concerning the quality of the Cabinet box, the first characteristic to be noted is the full back panel (Picture 7). 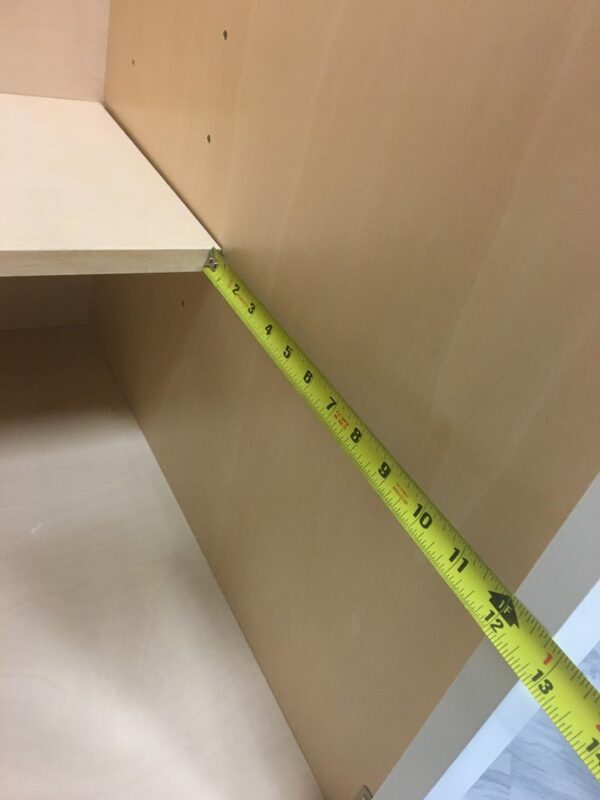 We typically see what is commonly referred to as a “picture-frame back panel,” a method used by many manufacturers to save cost on materials and recycle pieces of past units to be salvaged and used in future cabinets. 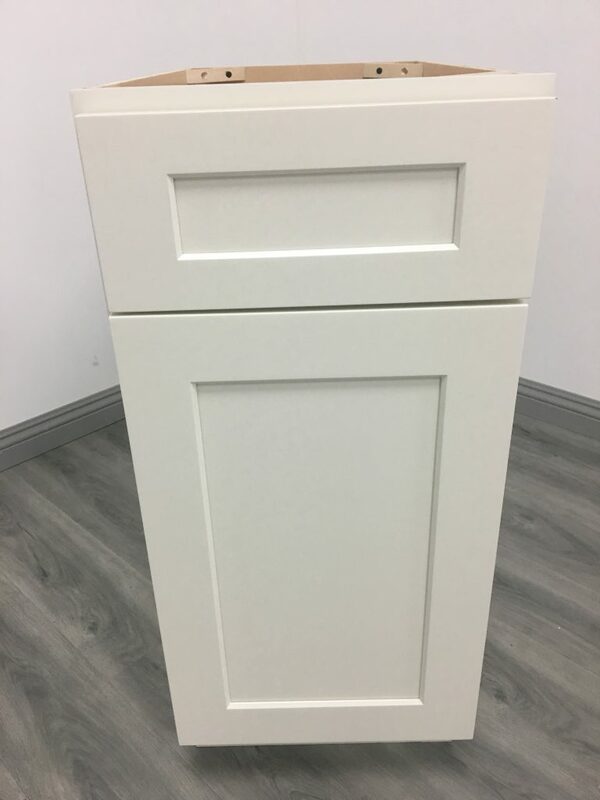 Both side panels and the back panel measure ½ inch thickness, which is the minimum industry standard we see in the B15 white shakers (Pictures 8, 9). 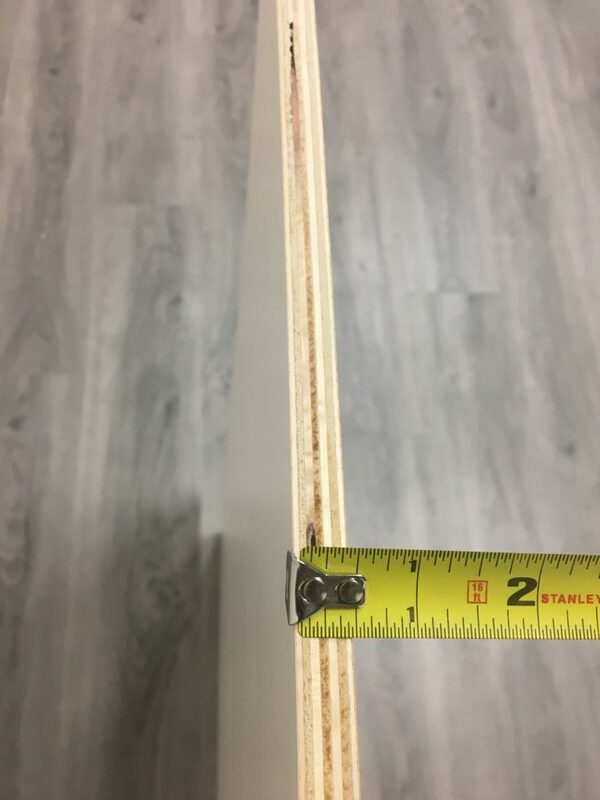 The material these plywood panels are composed of is a hard birch wood, stiff and sturdy in addition to not displaying any visible inconsistencies in their structure. While these are all positive attributes of which are worth taking note, what we really seek is a unit going above and beyond industry standard to provide clientele with a durable, viable product that will last for years to come. A sub-par industry standard drawer box is shipped with the Artisan White Shaker. The arch-top molding on the side panels displays 5/8 inch thickness with awkward joints at each of the corners (Picture 10). 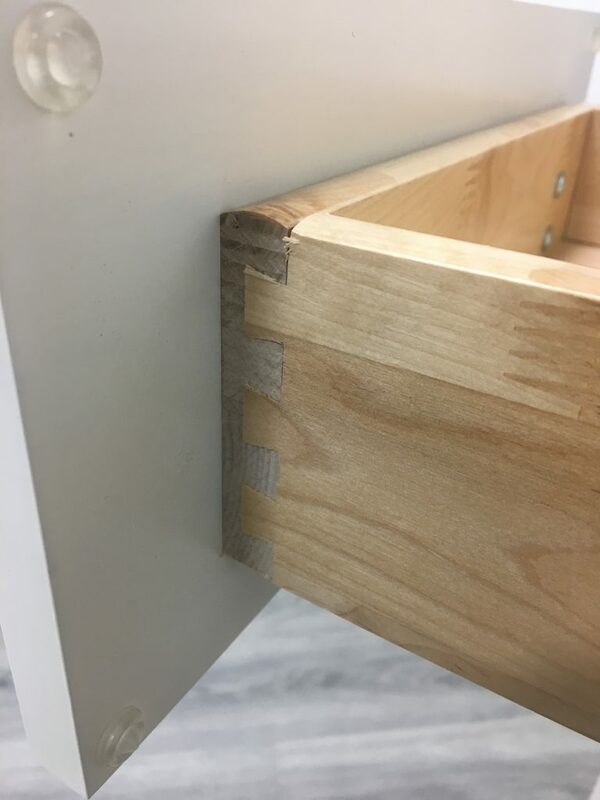 A flat-top finish on the drawer panels is preferred because the joints are aesthetically appealing in addition to holding together the form of the drawer with better integrity. 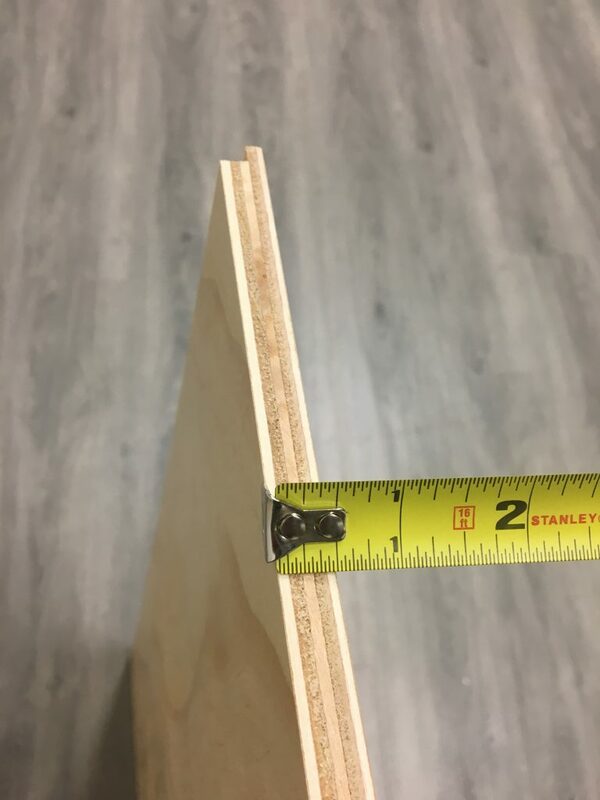 The thickness of the bottom panel is 3/8 inches thick, thinner than what is preferred but meeting the minimum industry standard (picture 11). When fitting together the dovetailing, I notice the teeth fit together with ease and bite into one another very firmly, which gives the box a relatively sturdy feel given the thin nature of the panels used in its makeup (Picture 12). Most notable and disappointing with the Artisan’s drawer box is the lack of depth it exhibits. 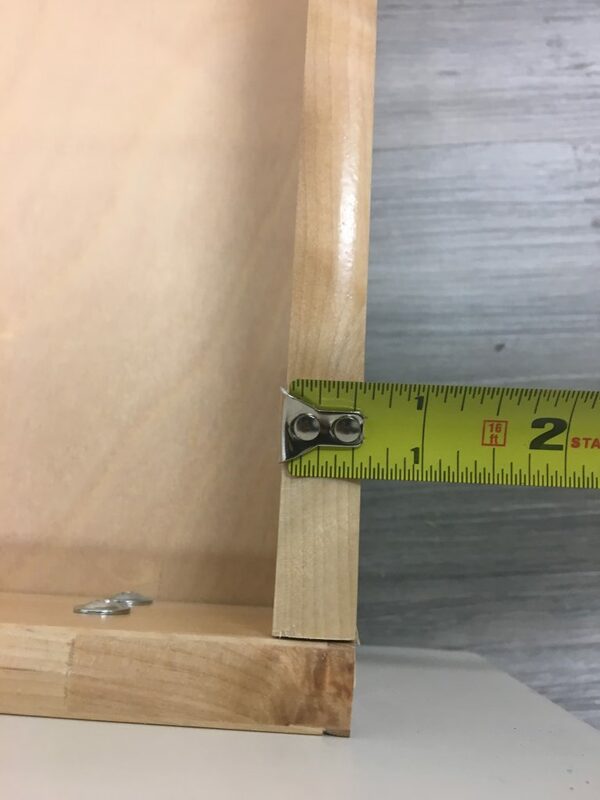 Several of the cabinets assembled and reviewed on this blog have unfortunately presented a shallow drawer box depth (*links). 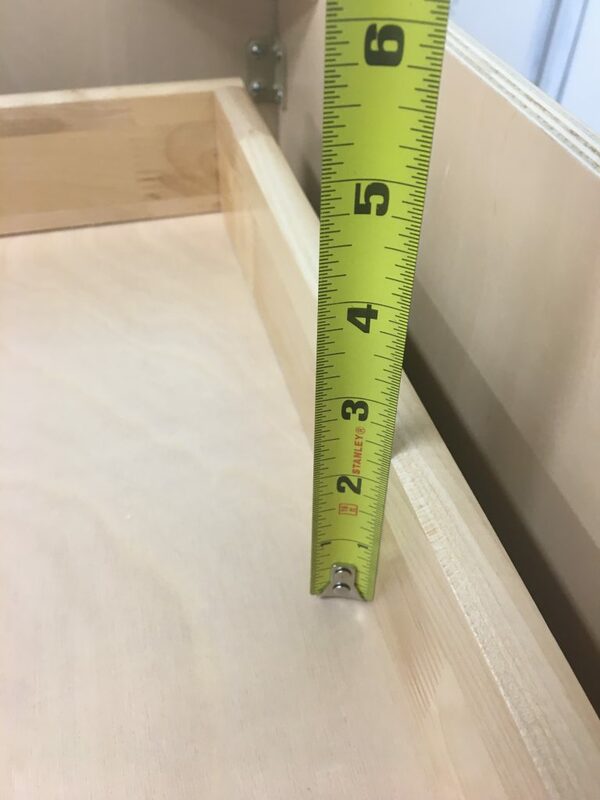 Measuring at just 2 3/8 inches deep, the drawer box will undoubtedly prove frustrating to many Artisan owners when attempting to open his or her cabinet drawers only to be stopped by a ladle obstructing the cabinet frame (Picture 13). This will prove even more frustrating when the drawer possesses the quality feature of full-extension glides (Picture 14). 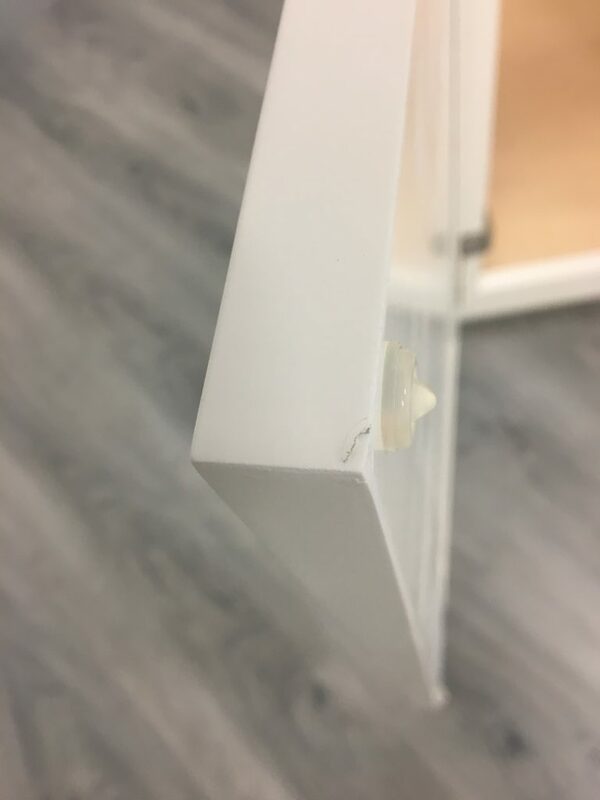 Unlike several other models of white shakers we have reviewed, the European style concealed hinges do not come pre-mounted on either the cabinet’s door or the frame (Picture 18). 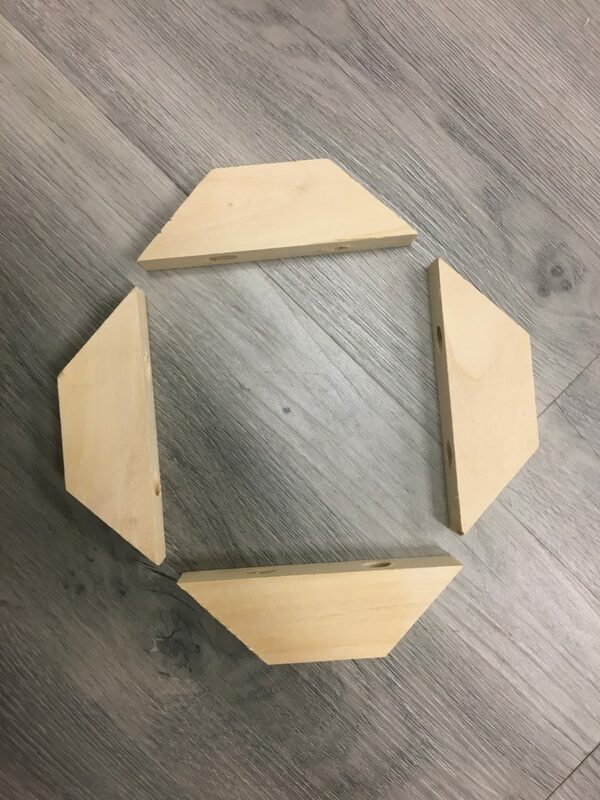 While there are pilot holes in both of these pieces to assist in guiding the hinges into their proper place, the increased time taken to accomplish this task is noteworthy (Picture 19). A piece of hardware that does not bear the “UCD” lettering is the full-extension drawer glides with SCMs (Picture 20). 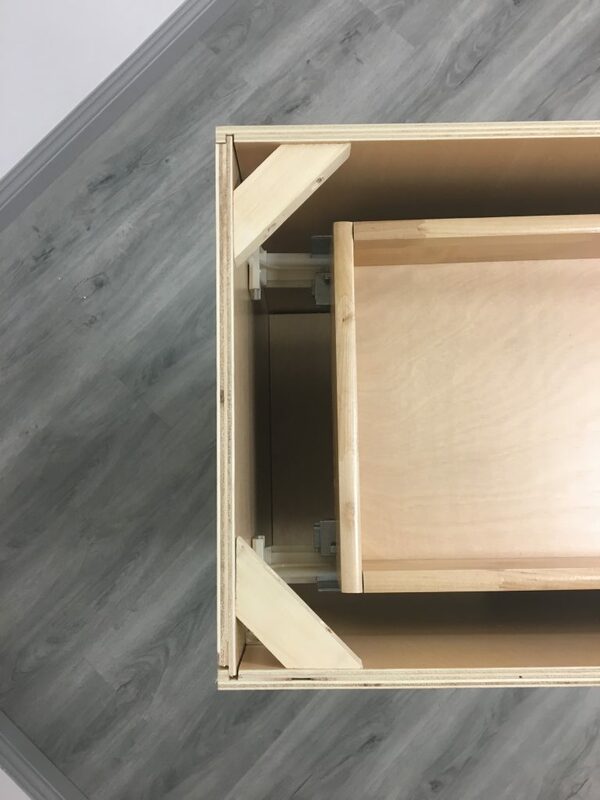 These quality tracks mount onto the drawer box from underneath, fixed to the frame of the cabinet face with two wood screws and lightly supported by plastic anchors attached to the back panel of the cabinet box (Pictures 21, 22). Plastic clips with the “UCD” lettering mount onto the bottom panel of the drawer box, held in place by four wood screws on the underside of the box’s front panel (Picture 23). 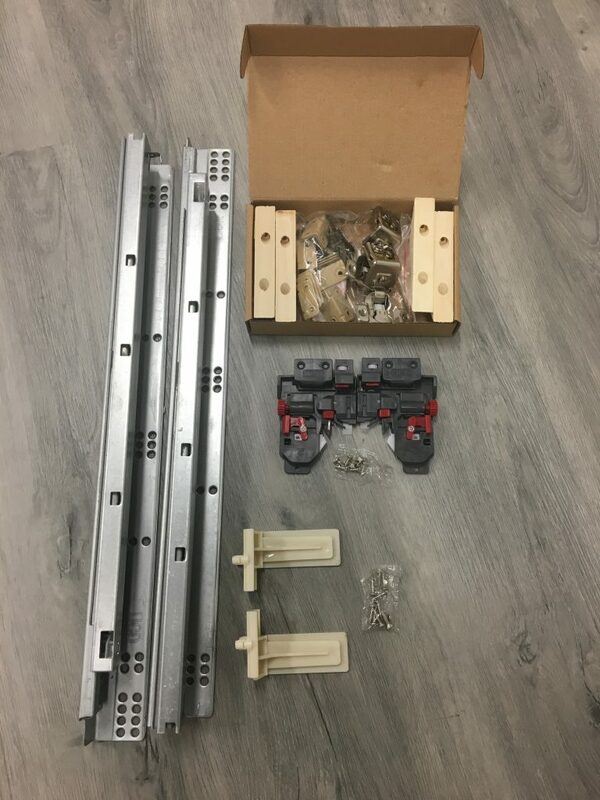 Considering the quality of the drawer slides, the connecting parts with which they are shipped leave much to be desired. 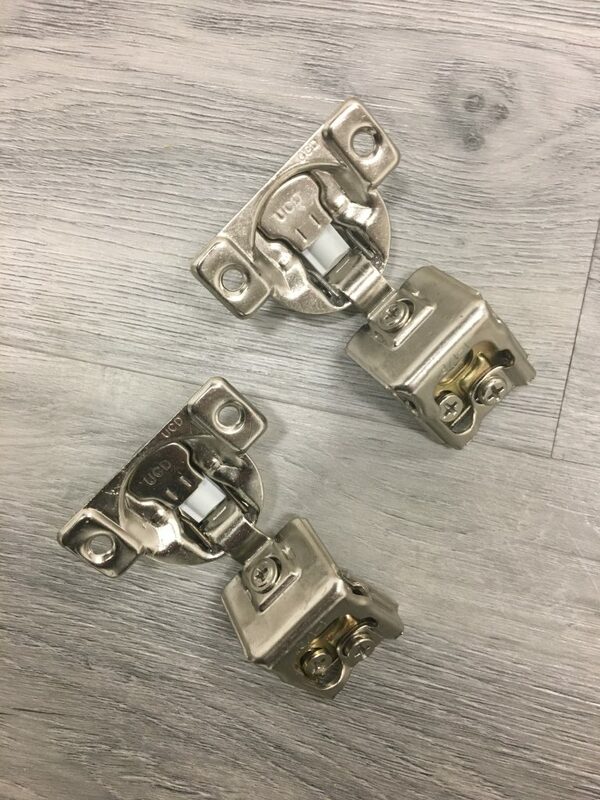 When we come across a quality feature in a unit, such as the full extension drawer glides of the Artisan, it is disappointing to find connecting hardware that is not reflective of the positive elements. 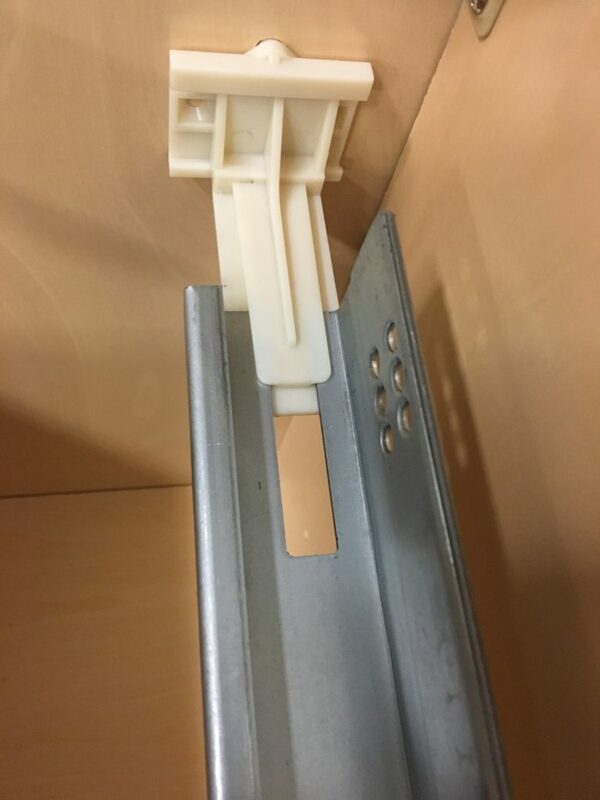 The aforementioned plastic drawer slide anchors (Picture 24) and under mount drawer box clips (Picture 25) are a perfect example of connecting hardware that falls short of the quality standard set by other parts of the cabinet. 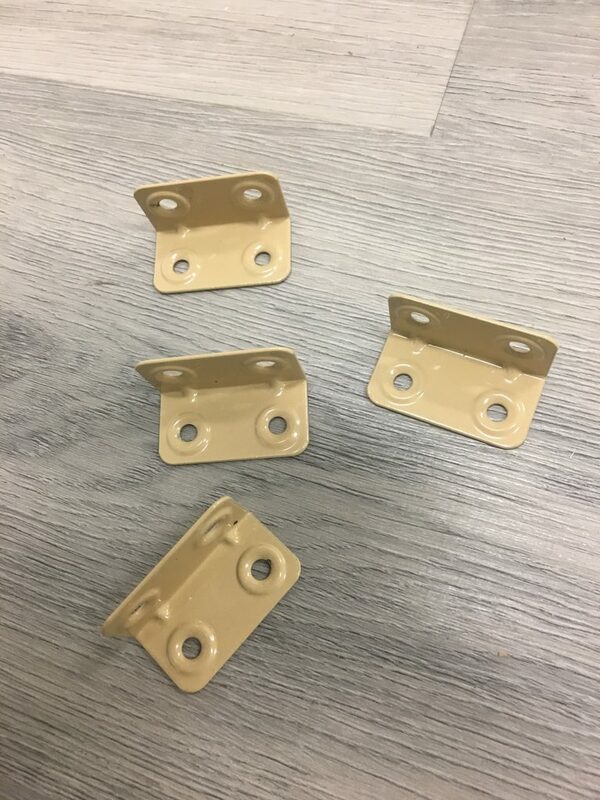 Made of a flimsy beige plastic, the anchors barely bite the back end of the drawer glide (as evinced in Picture 22 above). This causes me to doubt not only the durability of them but also their ability to support the weight of a drawer full of items. 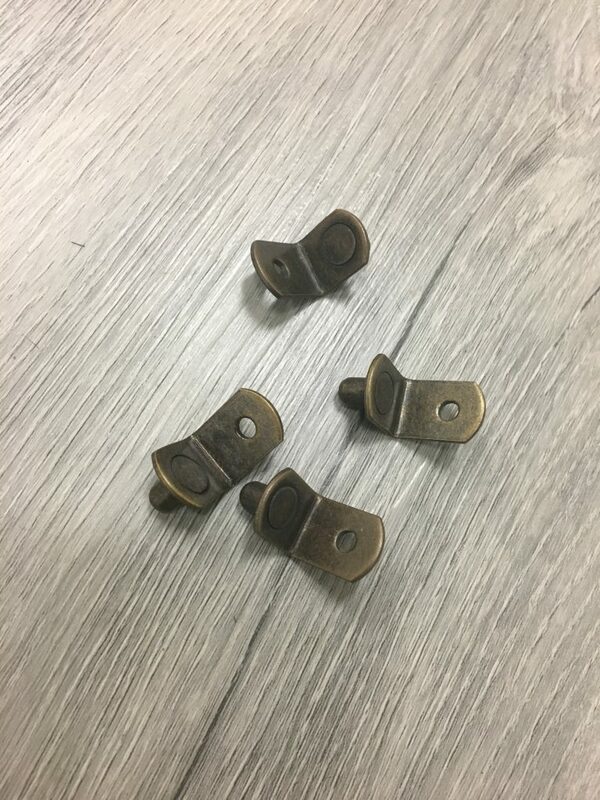 Regarding the drawer box clips, the fact they are UCD brand does not work in their favor. Although the plastic does feel strong, the clips themselves are large, awkward, and clunky. 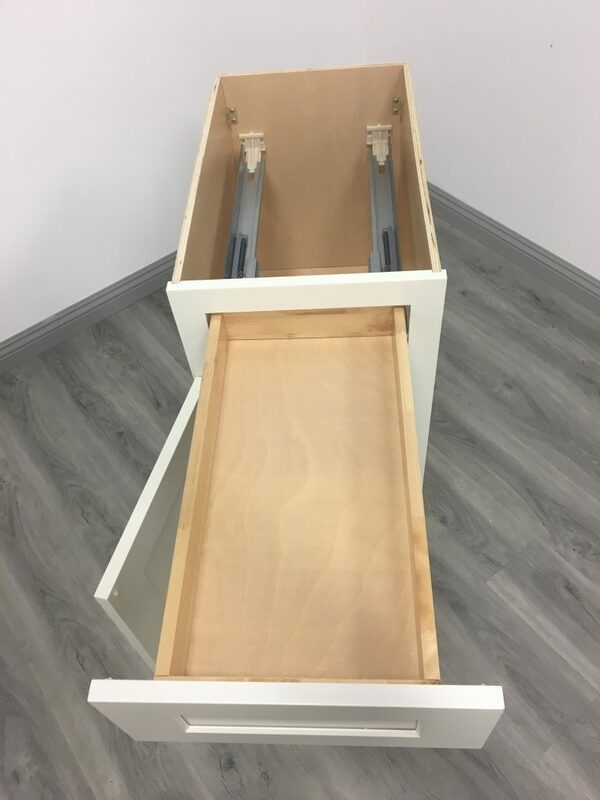 Be that as it may, the fact that the Artisan does feature the under mount drawer slides with necessary connecting parts is a positive feature. 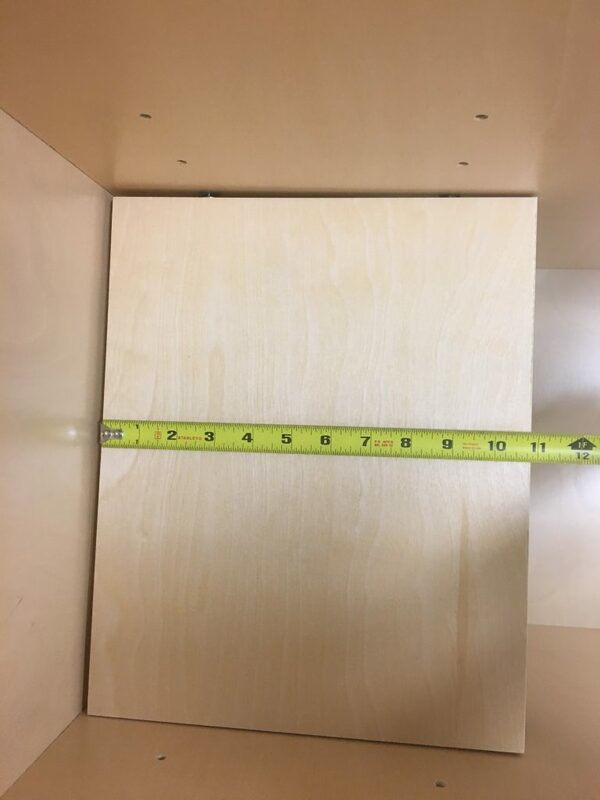 With the remaining connecting parts, we find standard quality shelf pegs, “L” brackets (also known as “cleats”), and wooden blocks to brace the corners of the cabinet box upon its full assemblage. 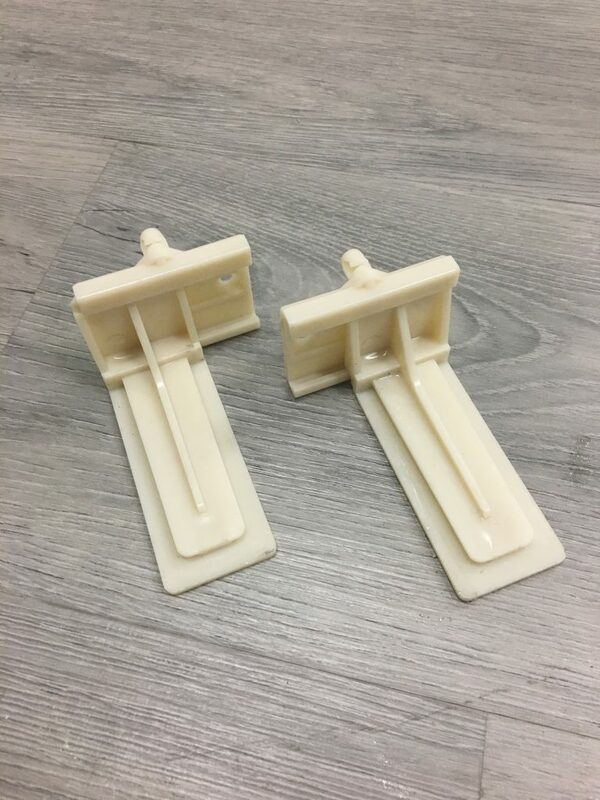 The metal shelf pegs are much easier to install than plastic shelf clips we have seen in previous white shakers and can undoubtedly support the weight of whatever items an individual chooses to store on an 11-inch long shelf (Picture 26). 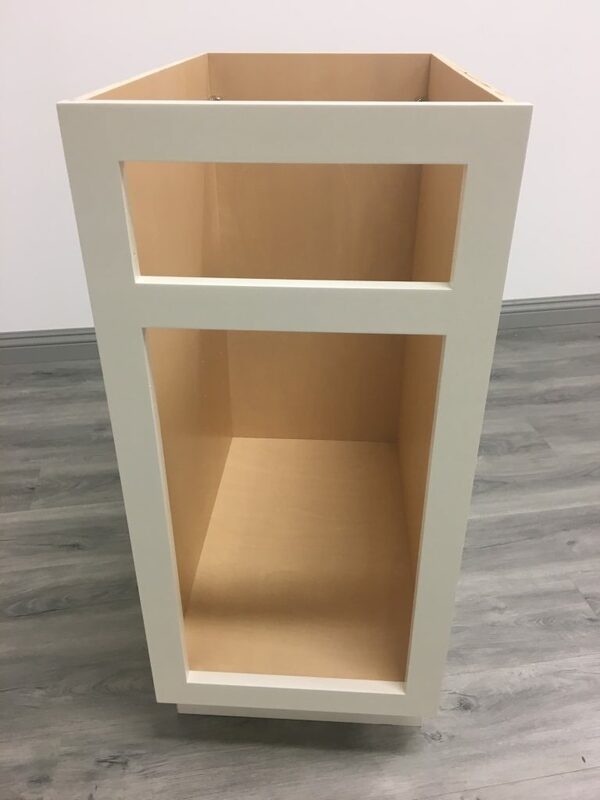 Beige in color, the metal cleats are used to attach the back and side panels to the cabinet frame while blending with the natural wood finish of the interior box. 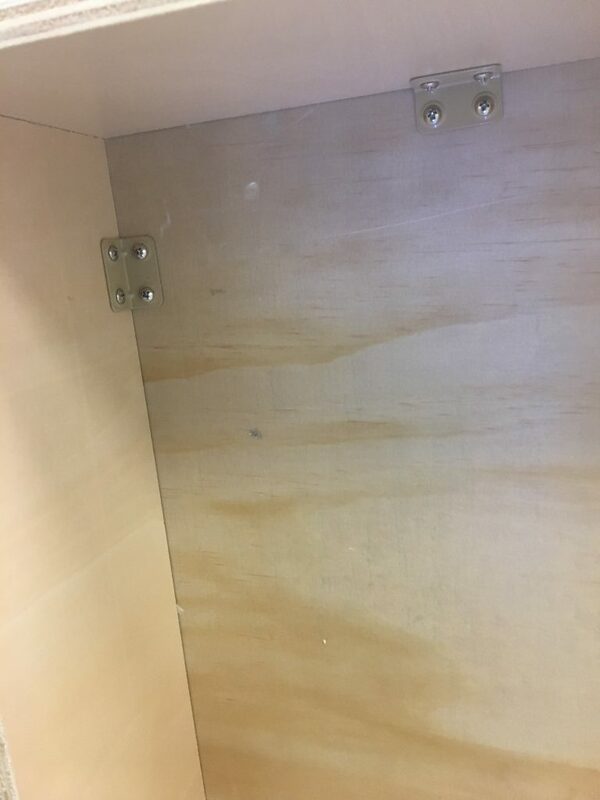 Pilot holes are in place to assure they are fixed properly, and they do a decent job of keeping the cabinet sturdy (Picture 27). Wooden blocks reinforce these cleats with added stability in each of the top corners of the cabinet box (Picture 28). 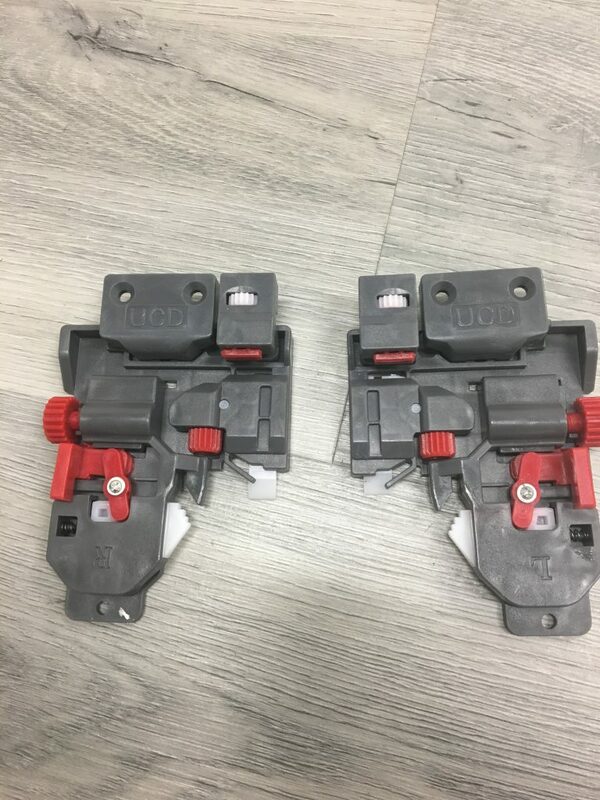 All of these connecting parts are packaged separately and organized in such a way they are easy to locate. This saves time in the assembly process as well as protects the parts during the shipping process (Picture 29). 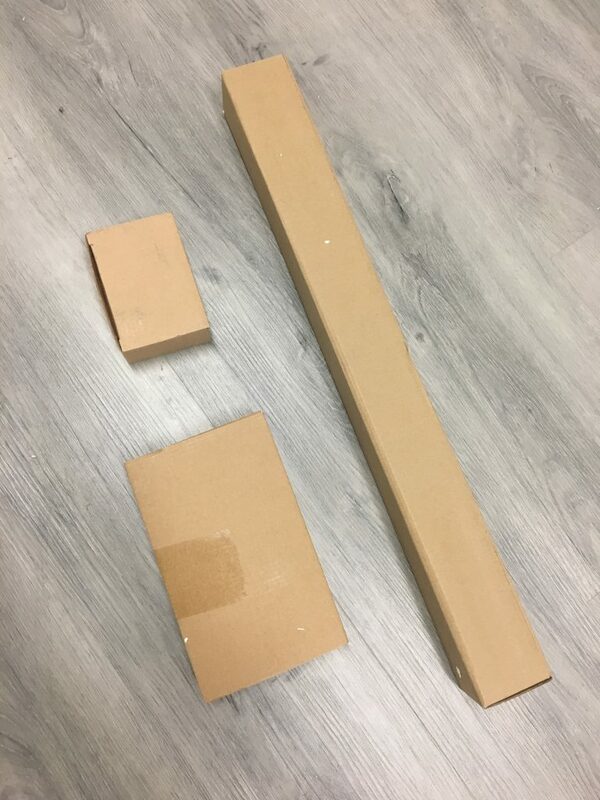 Decent packaging goes a long way when it comes to shipping, protecting, and assembling a cabinet. 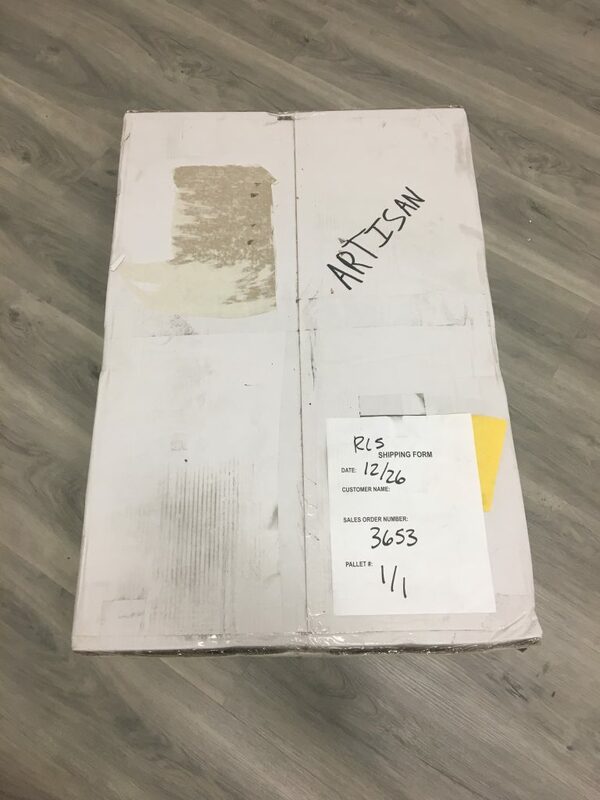 The Artisan’s interior packaging does a praise-worthy job of packaging the hardware and cabinet pieces in such a manner to appease all three of these shipping requirements. 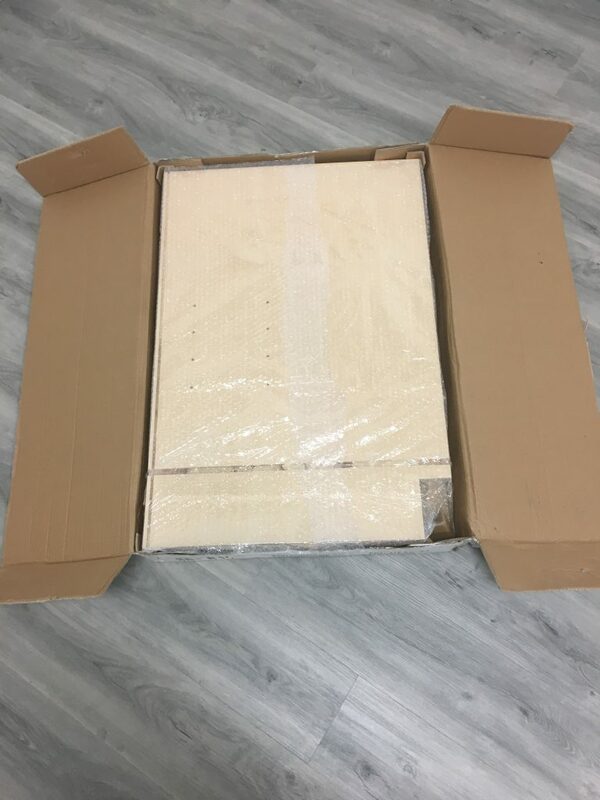 The hardware arrives in its own cardboard boxes (Picture 30), nestled cozily next to the units panels and separately wrapped cabinet face (Pictures 31, 32). 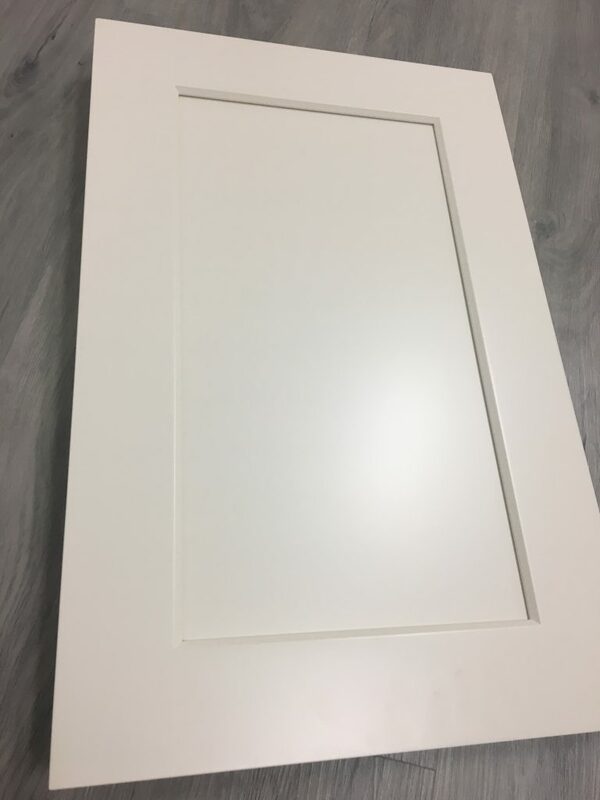 Protecting the frame, door, and drawer face are extremely important for a cabinet, and the Artisan from RTA Cabinet Store is one of the few cabinets we have reviewed with the extra care taken to wrap these parts in Styrofoam sheets and thick plastic. This type of diligence is worth giving credit. 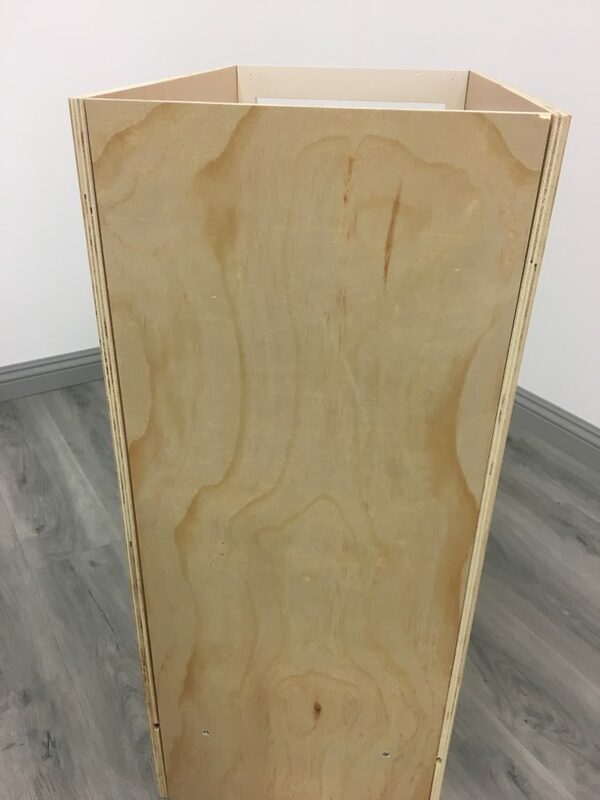 One of the side panels is laid over top of the rest of the pieces as a defensive covering in the event of a bumpy transport, with thick bubble wrap encasing the parts of the cabinet (Picture 33). 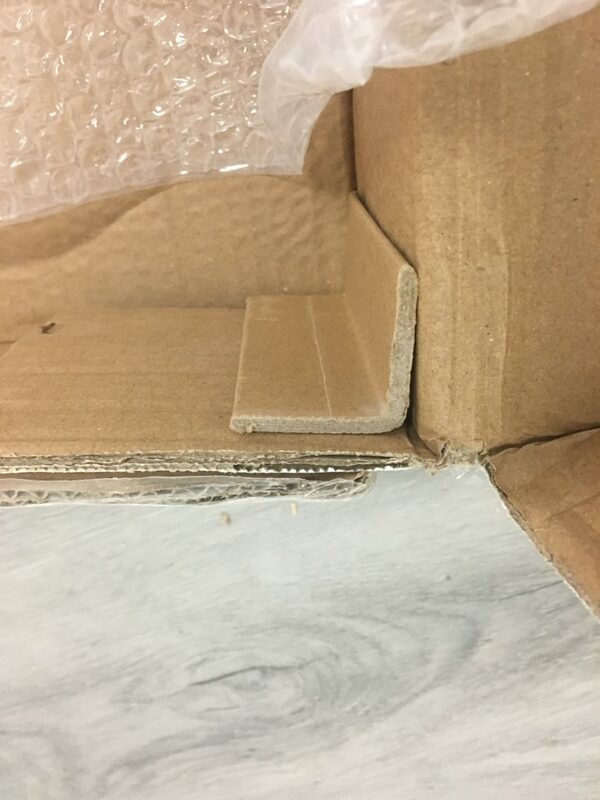 For added protection, the interior corners of the package include stiff cardboard to maintain the integrity of the bundle (Picture 34). 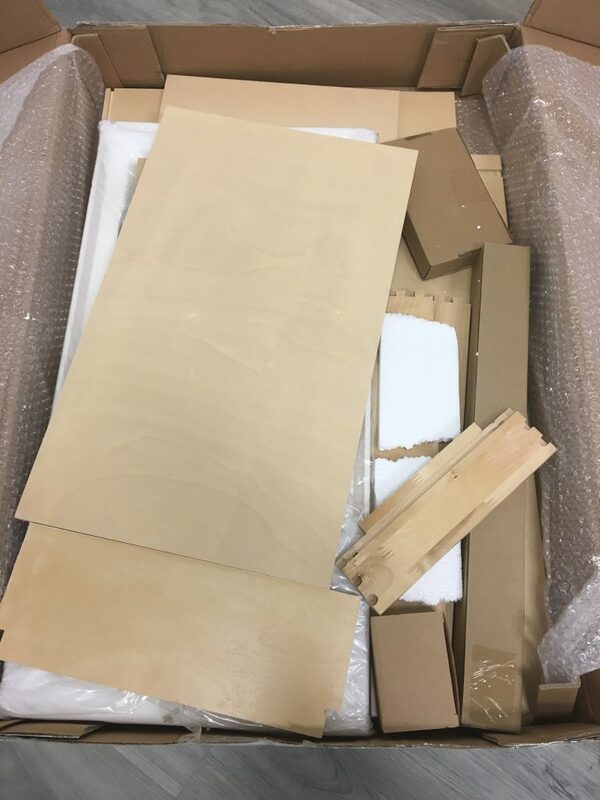 All of this is contained in double-corrugated cardboard that is easy to open and keep track of all disposable materials when removing the cabinet (Picture 35). 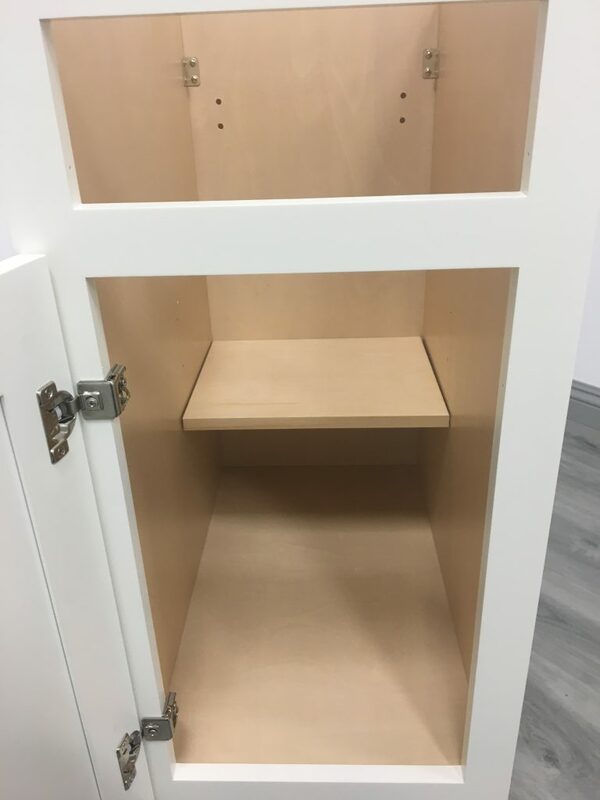 In order to ease the assembly process, many manufacturers will package their cabinets in such a way as to alleviate confusion when separating materials and parts. The inclusion of instructions is also a major benefit to easing the process. 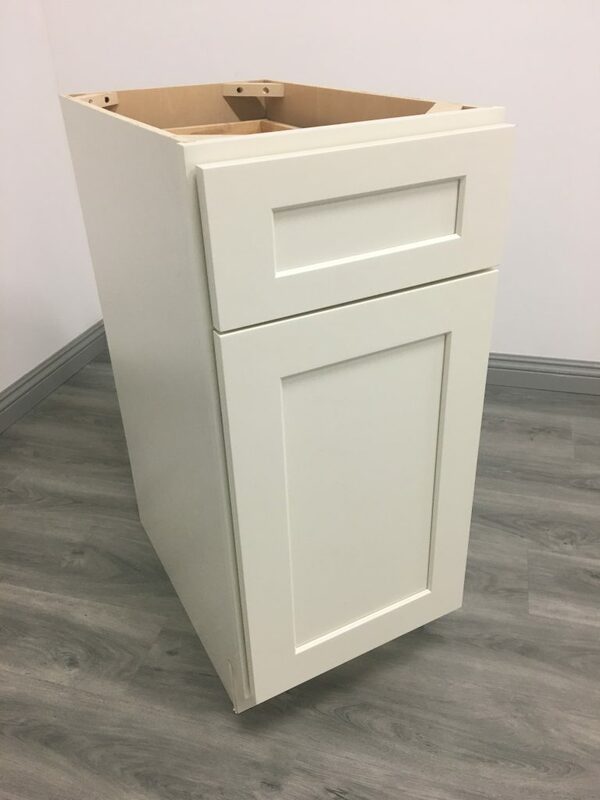 The Artisan White Shaker has a generic set of instructions packaged with the hardware describing one conventional method to assembling B15 cabinets (Picture 36). 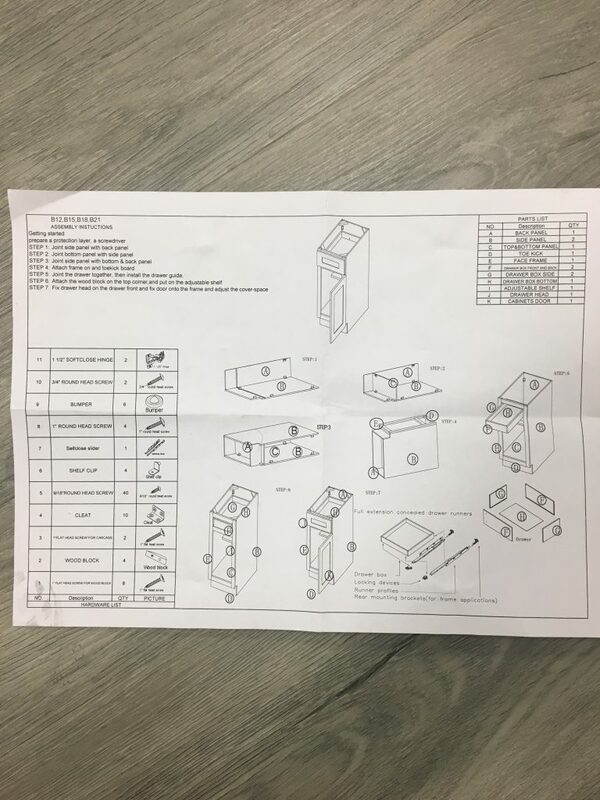 Complete with pictures to guide the individual building the unit, these instructions are definitely handy if you have not before assembled a cabinet. 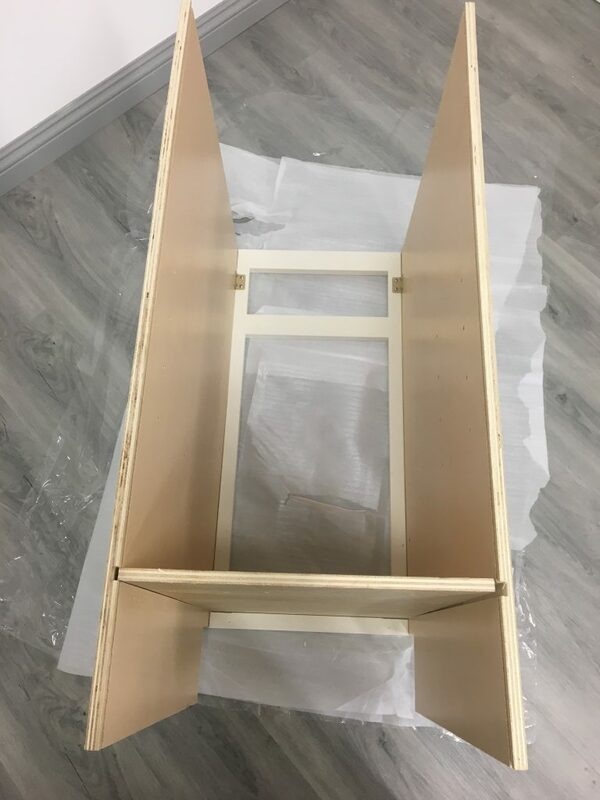 The method I personally prefer is to start by attaching the side panels to the cabinet frame, as this allows the bottom panel to slide between the two with ease and the back panel to fit securely with the aid of the metal cleats (Picture 37, 38). 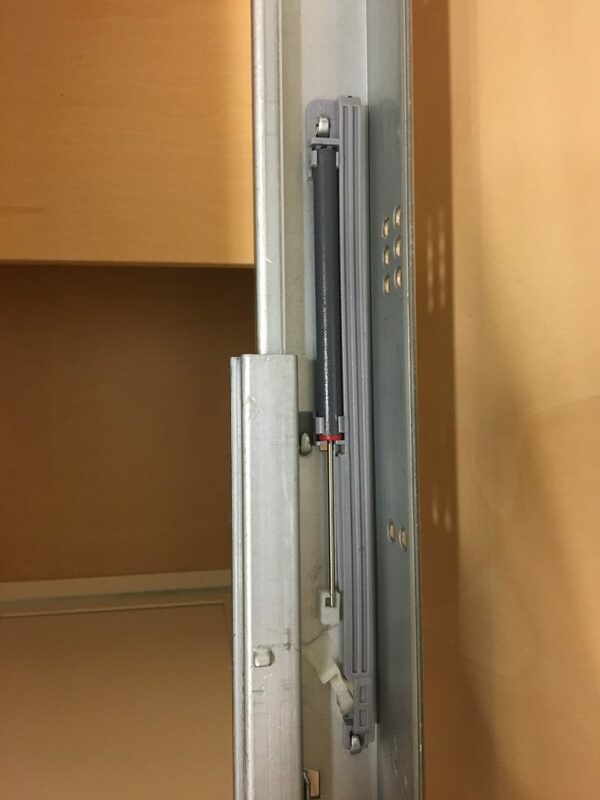 Previously mentioned in this review is the extra time it takes to mount the UCD hinges onto the cabinet frame once they are fastened to the door in the borings (Picture 39). 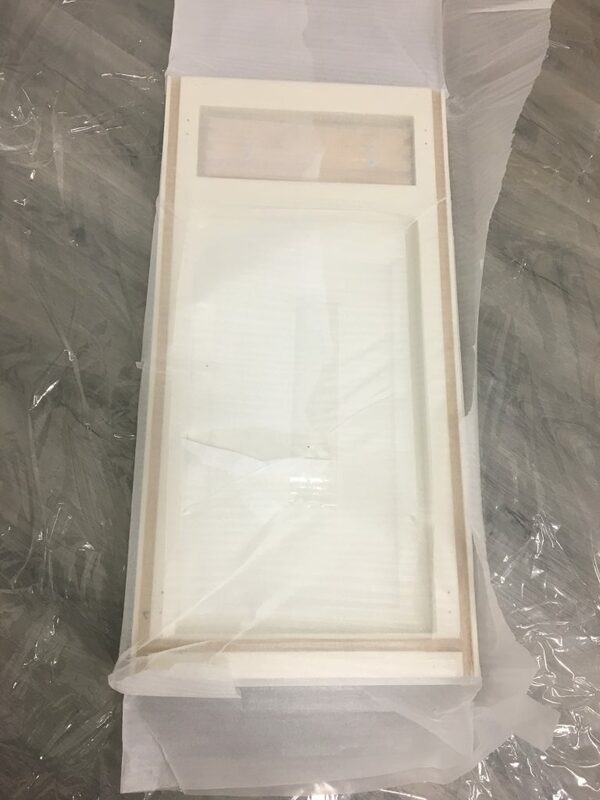 Again, while this step is not necessarily difficult or time-consuming, the standard set by many other B15 white shakers is to send the door pre-attached to the cabinet frame. 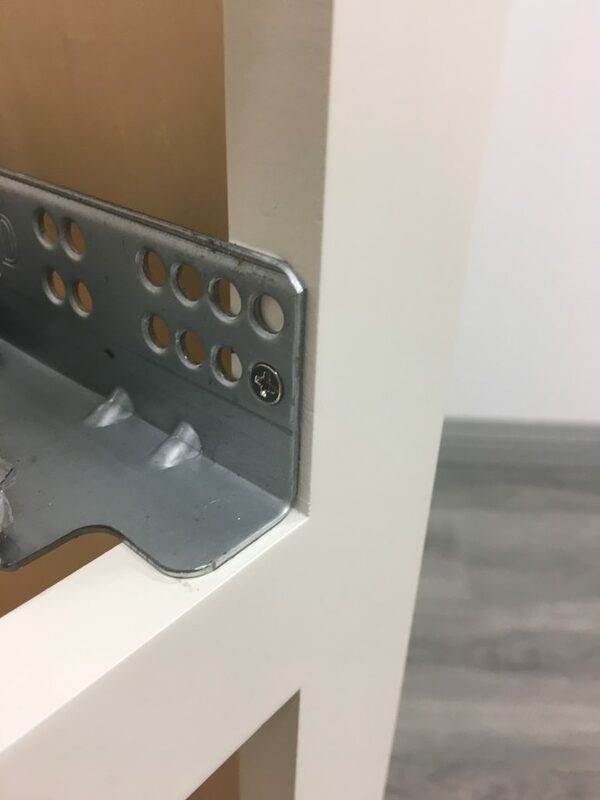 The pilot holes found on the inside of the cabinet frame prevent the door from hanging crooked, and the full overlay hides the hinges and the frame once the door is attached (Picture 40). Fastening the wooden blocks into each of the top corners is the final step, and this can be accomplished by one individual holding the blocks in place and slowly tacking the screws in so as not to damage the wood (Picture 41). Overall this unit is a fairly simple build, with only a few minor inconveniences. The metal cleats are not the preferred (or the most modern) method in attaching panels. 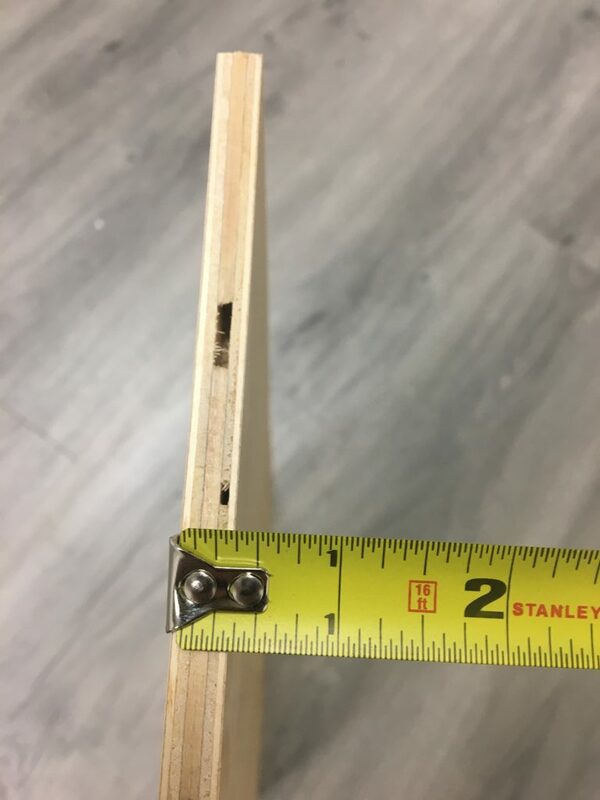 They are small and a nuisance to handle but once they are properly fixed in place they adequately stabilize the cabinet. Another feature I have yet to see is the fastening of cleats from the bottom panel to the back panel, as seen in Picture 38 above. 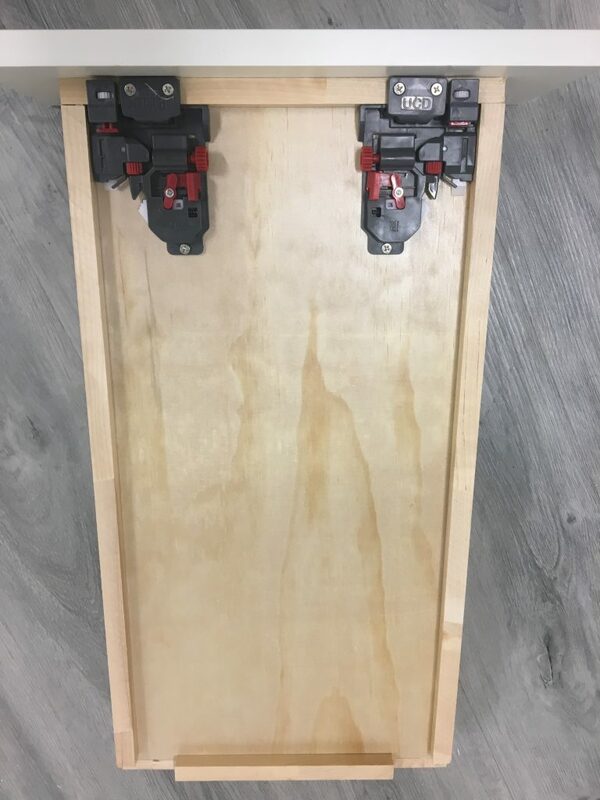 This reinforces the back panel in addition to providing added strength to the bottom panel, therefore increasing the amount of weight it can support. RTA Cabinet Store has no live chat available through their website. They do, however, have a website that is easy to navigate. Additionally, their selection and prices are competitive, with many sales and promotions pushed throughout the year. Their support team can take several days to respond to inquiries emailed to them, but their advice is sound. 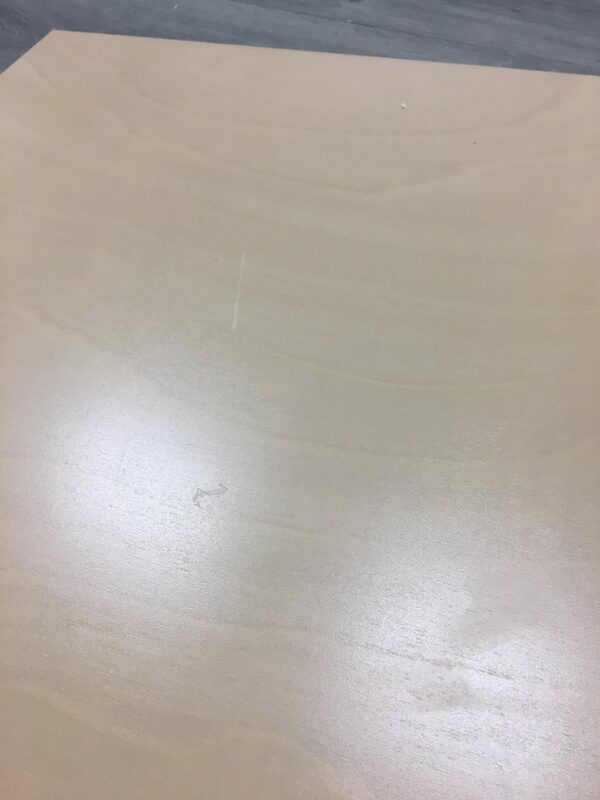 A crisp, clean finish with zero grains and one small crack on the door that is easily avoidable. A full back panel composed of layered birch hardwood and reinforced to the bottom panel with metal cleats. An interior finish applied using the eco-friendly “UV coating” which we have yet to see with any of the other white shakers. Organized and tight packaging that supports and protects the components of the cabinet during the shipping process. Both drawer face and cabinet door are composed completely of HDF composite wood, less durable in the face of everyday wear and tear as opposed to a natural hardwood such as maple or birch. Drawer depth measuring only 2 3/8 inches make the opening and closing of the drawer frustrating when filled with typical household items. Shorter than usual floating shelf leaving a large amount of empty storage space. 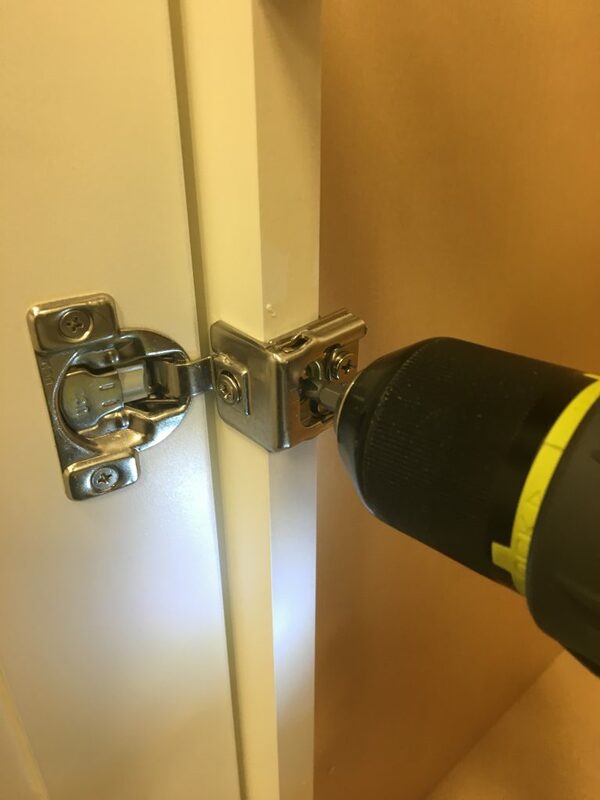 Hardware that is considered widely to be on the lower end of the totem pole as far as quality is concerned, as well as connecting parts that increase the amount of time it takes to put the cabinet together. Once the Artisan is completed and the stability is tested, the cabinet checks out as one of the more stable units we have come across. The unique hue of the “off-white” paint will not bring the bright flash to a kitchen as several of the other units, but it has undeniable warmth and a smooth finish. Considering the current retail rate of $167.48 for a B15 unit, the Artisan white shaker is ideal for an individual not looking to spend an exorbitant price on a white shaker cabinet that is medium-grade and unique with the presentation of its coloring.